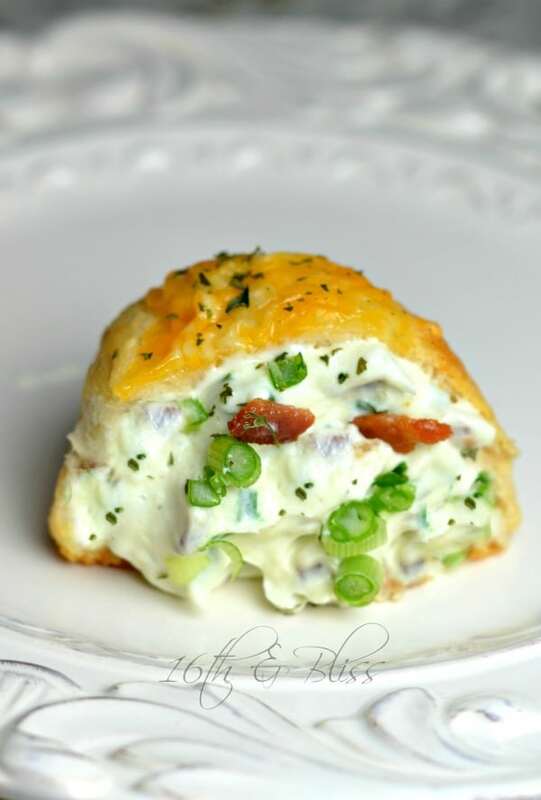 Biscuits and Gravy Cups are a tasty snack that your family will love! This fun play on a traditional biscuits and gravy recipe is easy to make… and even easier to eat! 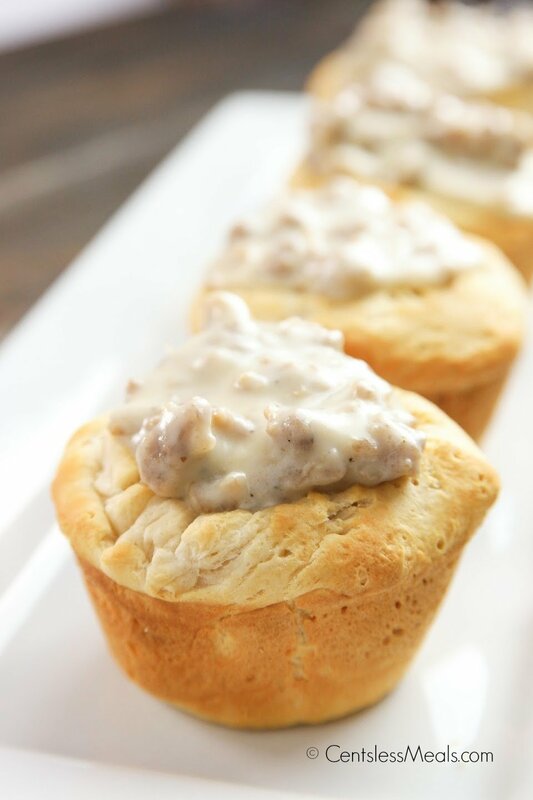 Ground breakfast sausage is made into a creamy white gravy and spooned into easy biscuit cups to create a fun and meal your family will devour every time! Biscuits and gravy is a dish that almost everyone loves. It’s hard to resist a light and buttery biscuit smothered in a delicious spiced white sausage gravy… pretty much the perfect meal any time of day, be it brunch, lunch or dinner! While I love to serve the a good bowl of Biscuits and Gravy, sometimes I like to make them into a simple snackable option! 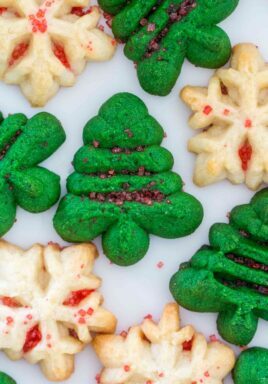 This recipe takes those same flavors we grew up on and converts them into a yummy bite sized treat perfect for any potluck or gathering! 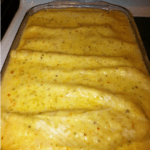 This recipe can quickly and easily be made ahead of time! 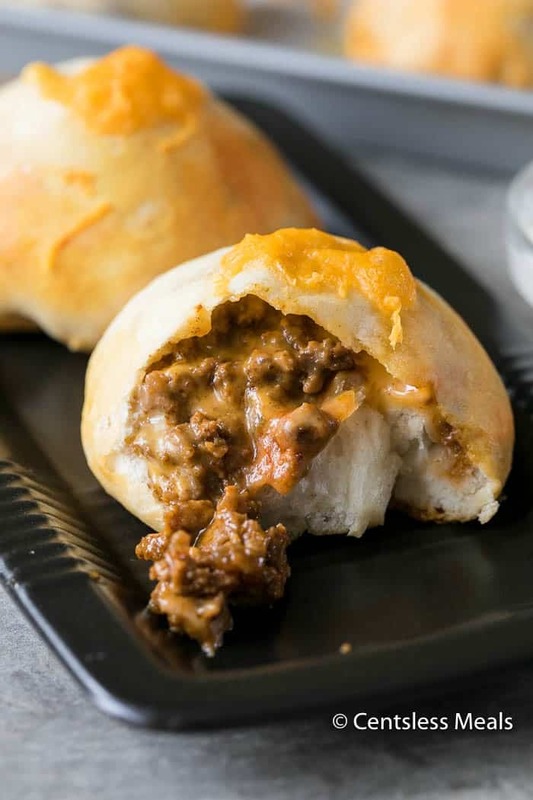 The biscuits cups can be prepared and baked and the gravy can also be prepared as much as 24 hours ahead of time. Before serving, simply heat and assemble! Food not only brings people together, it is a great way to help out others in need or just to brighten someone’s day. What a nice gesture to treat a new neighbor with a warm and yummy brunch while they’re unpacking. 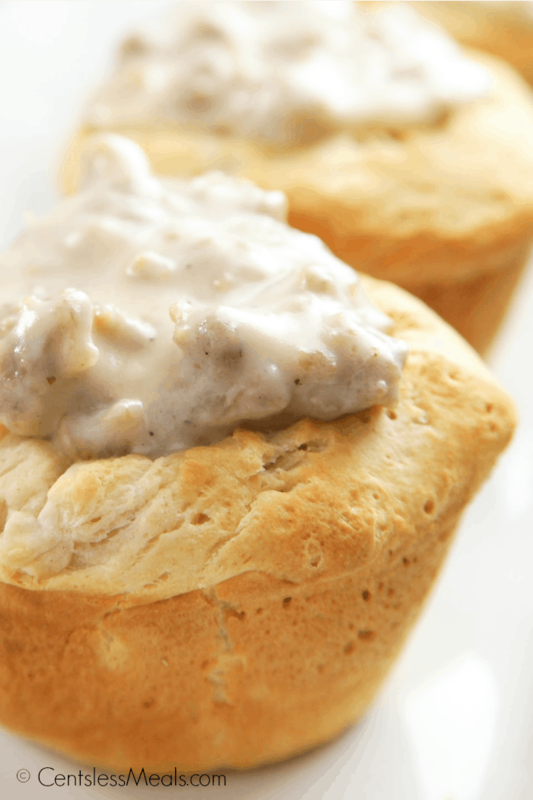 While creating a quick homemade gravy for these biscuits and gravy cups is super easy, you can always use the packages of store bought gravy if you prefer. Of course grandmother always says that homemade is best (and she’s right) the packages are really delicious and you just can’t beat the convenience! In this recipe I use ground breakfast sausage, but any ground sausage that suits your taste will work. Diced mushrooms can also be added to the ground sausage while cooking for some extra flavor. Preheat oven to 350 degrees. Crumble and brown sausage in a pan. Remove sausage but leave drippings in the pan. Stir in butter. Add flour and stir, to create a roux. Let cook about 1 minute. Slowly add 1 cup of milk and stir until thickened. Add remaining milk as needed to get desired consistency. Add sausage back to the gravy and season with salt & pepper. 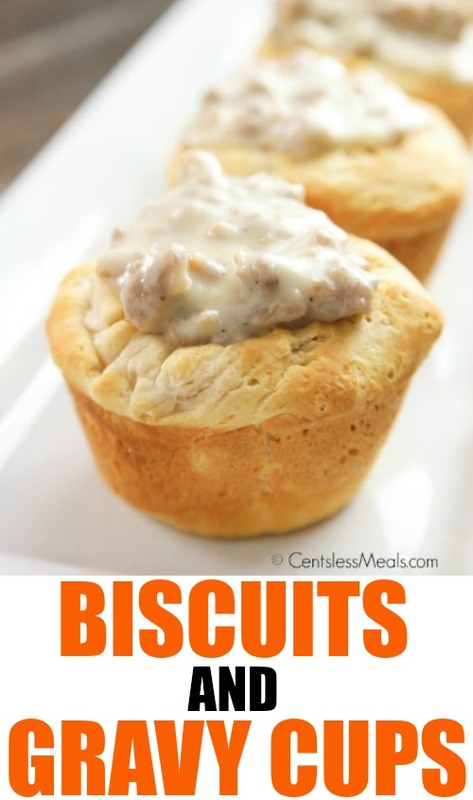 Open can of biscuits and place one biscuit in each well of a muffin pan. Create an indent with a spoon. Bake as directed pressing the indent in again halfway through baking. Once browned, remove from the oven and fill with sausage gravy. This Biscuits and Gravy rcipe is fun and delicious. When you are looking for a meal that will spice up your mealtime, look no further! 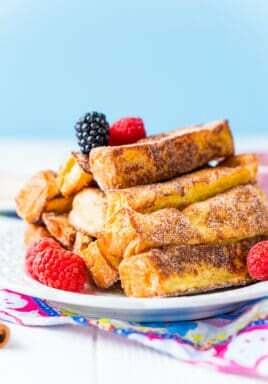 Break up the monotony of your everyday menu plan with this recipe tonight! I buy the canned or jar gravy but add some extra browned breakfast sausage for extra flavor and yumminess!! Also some cheese sprinkled over top is always a bonus too!! 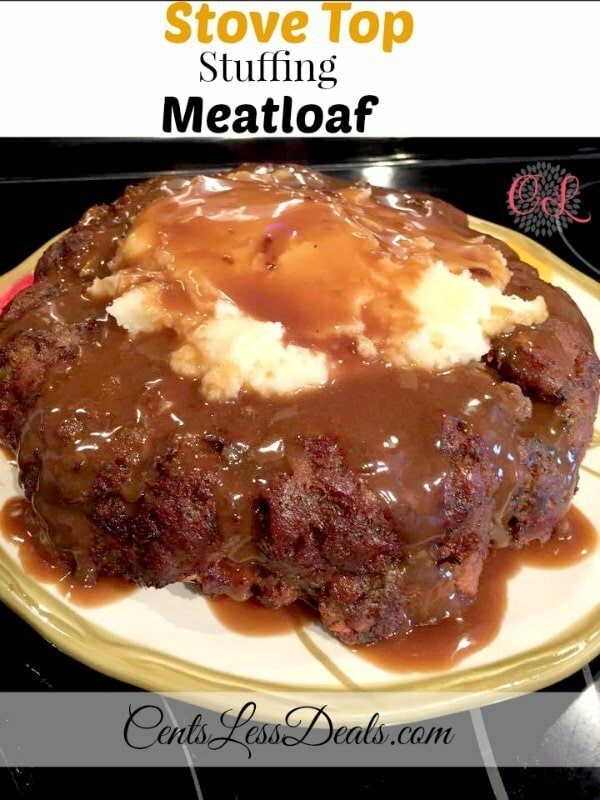 You could always freeze it then just put it all in a pan on the stove top when ready to use again to reheat, add a tad of milk to get the consistency back to the original. You can also buy gravy in a jar while you’re at it. Recipe sounds great! How do you think the sausage gravy would freeze? Have you ever tried to freeze it and then use it at a later date?